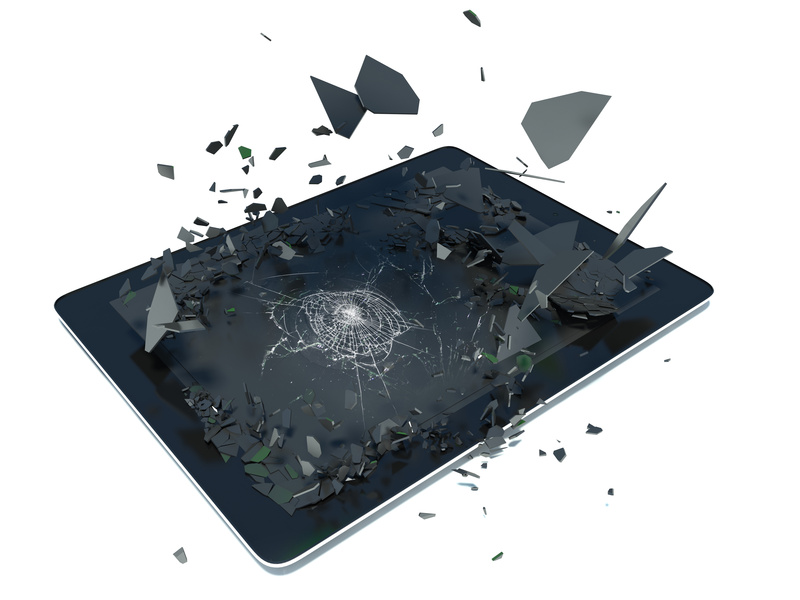 A recent independent study concluded that the average annual TCO of a rugged tablet is 22% lower than the average annual TCO of a non-rugged tablet. When the upfront cost of a rugged handheld computer is being compared to the upfront cost of a non-rugged handheld computer, it’s easy to quickly jump into weighing the obvious replacement costs of a damaged consumer device to the upfront cost of a rugged handheld computer, and deciding to chance the odds. However, it’s important to note that the repercussions of selecting the wrong device extend far beyond the upfront costs of a rugged device. Of course, total cost of ownership (TCO) has much to do with the inevitable damages that come with using a non-rugged device in the elements, but this cost is just one among many factors to consider when weighing the TCO of a non-rugged device. Before settling on a non-rugged device in a protective case, one major cost factor to consider is the probability of lost employee productivity. This includes employees failing to complete work due to damage or inoperable extreme temperatures, while still accruing their expense. This might also mean added repeat work, like field data collection, if the data on the non-rugged device is not accessible due to damage. In some instances, field data collection is dependent on time and condition and may not be able to be recollected, making value of lost data significant and difficult to measure. This loss of productivity alone will most likely account for the cost differential of the initial purchase price. Between the device replacement or repair costs, employee downtime, and IT costs involved with having to setup and provide replacement devices more often, the TCO increases exponentially. A recent independent study showed nearly 50% of the total cost of using a non-rugged device is attributed to lost worker productivity when the device fails. In addition to the cost of lost productivity, customer satisfaction also begins to take a fall as employees are unable to fulfill the needs of customers without their device. This reduced customer satisfaction may result in a lost customer, impacting the bottom line. Another factor to consider is the average lifespan of the device in question. On average, a non-rugged device is designed to last ~2 years, while a rugged device can remain reliable for 5+ years. A device with a shorter lifespan makes for a rapid replacement cycle, requiring additional research, qualification, and approvals to select new products on a more frequent basis. It’s also important to keep in mind the cost of replacing the accessories that support each device once the model has changed. These accessories might include docking stations, carrying cases, protective cases, spare battery chargers, vehicle mounts, pole mounts, keyboards, adapter cables to peripheral devices, etc. Unlike the majority of non-rugged devices, the Mesa 2 Rugged Tablet is built to last. Its extended battery life allows users to work through a long workday, without the worry of a dead battery, while its ultra-bright, high-resolution screen remains visible even under the harshest of sunlight. And with an IP68 rating, making it entirely dustproof, waterproof, and shockproof, it was built to perform in any environment. These factors, among others, keep lost productivity to a minimum and give users the ability to maintain a consistent workflow, with less time spent breaking for weather or a dead battery. Another benefit that accompanies the Mesa 2 Rugged Tablet is the outstanding customer service Juniper Systems provides. As a company that understands the need for immediate attention when something goes wrong, our customer service team provides unique care for each device application. Functioning almost entirely under one roof in the United States, we pride ourselves on the product quality and customer service we are able to provide to our customers. For more information on the Mesa 2 Rugged Tablet, or any of our other ultra-rugged devices, visit www.junipersys.com or contact our team here.